The flight was aborted by “a flight instability” as the team called it. That, in my opinion, is a Texas sized understatement. I’m not going to call the crash an accident, because such a crash was completely predictable just from taking a quick glance at its design. And of course they didn’t intend for it to crash, its probably just that they didn’t quite understand some fundamental rocket flight dynamics. It is also my opinion, that until they change the fundamental design of their rocket, it will continue to crash – no matter what they do to their flight control systems. 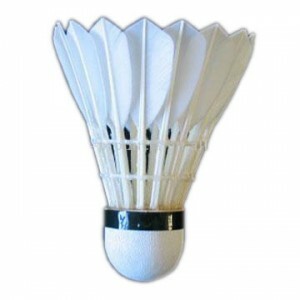 The reason can be understood from a simple experiment you can do at home playing with an arrow or a badminton shuttlecock. Within a few arrow lengths the arrow / shuttlecock swaps ends and proceeds tip first, tail behind. Arrows and shuttlecocks work because for a body moving in air their center of drag will “flag” behind their center of motive force – otherwise known as center of mass. More accurately, its center of acceleration (gravitational force / mass) is ahead (in the direction it is being forced) of its center of drag at that moment. More generally any dropped object will tumble whenever its center of dynamic drag is ahead of its center of mass. When its center of drag is behind its center of mass – it stops tumbling. You see an analogy of this every day when you see a flag streaming back from its flagpole. The center of motive force is the flagpole – even though it is not moving relative to the ground, it is moving relative to the wind. Spacecraft are not necessarily unstable in flight through air, but powered spacecraft are(1). Powered spacecraft are unstable because when you turn the rocket propulsion on — the center of force moves backwards, typically getting behind the center of drag (though not always if the fins extend far enough behind the rocket). This analysis boils down to whether the motive force (gravity or a rocket motor) is pushing or pulling the object. Pulling is dynamically stable, pushing is not. Rockets use both passive and active stability systems. Passive stability systems include trailing edge fins fixed in place. Active stability systems include steerable rocket exhaust nozzles or adjustable flying surfaces (and differential throttles as Roga gently reminded me). The Blue Origin’s main problem is that it has a whole set of things that add up to instability. The Blue Origin is very much like a shuttlecock or an arrow being pushed backwards through the air; it is a tumble waiting to happen. Imagine the rocket encountering the first slight wind shear at supersonic speeds – and here we go a-tumbling again. A proper rocket design needs an adequate passive-stability system first; before adding propulsion and steering. This is because an active stability system can only provide limited control; it won’t have enough power to correct for a grossly aerodynamically unstable rocket. Because of Blue Origin’s short body, its power-off center of drag and gravity (motive force) are close together, possibly only inches apart. Those centers can move dramatically and even swap ends with different fuel loads, payloads, speeds and angles of attack. Its easy to get them backwards. With rocket power on — the center of motive force moves strongly backwards making the craft even less stable. However, once you launch a rocket into the air – when the centers of drag and motive force are backwards (negative stability) by a little bit – the error is often immediately obvious. The analogy is how when you drop an arrow facing backwards (feathers down) it will tumble until it straightens out and goes tip first. Similarly I suspect that if dropped nose down Blue Origin will tumble; that it will not continue in a stable fashion with its nose down. The direct version is — If you shot an arrow backwards with the feathered end facing the target – it will tumble. It is my strong suspicion that if you shot a model of Blue Origin towards a target – it would tumble just like the backwards facing arrow. So, to get back on track the Blue Origin team needs to stop and do some fundamental flight tests so they can see and viscerally understand what’s wrong. They seem to be relying too much on new (and untested) ideas rather than on empirical (actual physical) tests. In spite of its daunting reputation, most rocket science is not difficult to understand or explain. If your rocket designer or engineer cannot show you how your rocket stability works in a simple fashion – then maybe you should find one who can. They need to start with unpowered “flights” so they can see a dramatic demonstration of how poor their existing design is; and how a proper rocket works. They can then compare that to an arrow, a shuttlecock or a model of any NASA rocket – and see how those aircraft fly / fall with beautiful passive-stability. There’s no shame in using tried and true designs to achieve a new goal. 1. Its not entirely true that all rockets become unstable as they turn on their motors. Robert Goddard’s early models had designs that “pulled” — instead of pushed as most modern rockets are designed. This design was stable while power was on because the center of drag always remained behind the center of motive force. This entry was posted in Engineering, Flight, Philosophy, Physics, Vehicles and tagged Dynamic Stability, Fix Blue Origin, Flag Principle, flight instability, Robert Goddard, rocket motor. Bookmark the permalink. 24 Responses to Can you Shoot an Arrow Backwards – into Space ? Note that with a VTVL vehicle, there will be a phase either up or down where the “shuttlecock” is pointed in the wrong direction. (E.g. that’s why the fins seem to be upside down.) The challenge for the engineers is to balance the design compromises so that it flies well enough in both directions. That can mean some ugly failures during testing when one of those compromises doesn’t work out. I’m surprised by how often I hear an engineer or group of engineers accuse another engineer or group of engineers of not understanding rudimentary physics or engineering facts. It almost always turns out that the second party does understand the basics; they are just approaching the design of a complex system with some different starting assumptions and tradeoffs than the first party. Thank you for your thoughtful response Clark. I do appreciate your experience with other engineering teams, and how different designers begin with different starting assumptions and tradeoffs. And of course wind tunnel studies and flight tests of smaller vehicles are excellent ways to do rapid inexpensive concept testing. While we all make design mistakes, I think you might agree that some designers and engineers simply do not understand the many physics dynamics they are given to deal with. (Design Disasters) I’ve known more than my share of those. The crashed Blue Origin shape and fins diverges so dramatically from known successful designs I will be very surprised if their team conducted any meaningful flight tests of smaller vehicles. I’d be even more alarmed if they did conduct wind tunnel studies or flight tests and their models passed. That would mean their test procedures need more than a bit of work before they resume wind tunnel studies or model flight tests. I’m just not comfortable with making a new project that employs an array of “unproven” (I’m trying to be diplomatic here) concepts: Tiny fins, short body with low polar moment of inertia, bulbous nose that blocks fins from the air stream at supersonic speeds. Together those spell disaster even for those with just a passing familiarity with aerodynamic stability. One might argue mine is just a different design philosophy. Maybe. I believe mine is a different Design Process philosophy. I am content to test one new idea at a time – not 3 or 4. There is no shame in “standing on the shoulders of giants.” I prefer to “build” solutions rather than jump to a final one. I’m not claiming to have a replacement design for Blue Origin, but I do know a proven process to use to develop innovative designs such as theirs. My personal process for trying to reach ground breaking design goals is to start with known good concepts and systems. Then make sure it works reliably and predictably. Then we can modify the known working system with one proposed improvement at a time, with careful testing until we get the innovative results desired; careful meaningful preliminary model testing. You are right the successful Falcon 9 has no fins and a blunt nose. However, unlike the unsuccessful Blue Origin, Falcon 9 has a huge polar moment of inertia (at some 178 feet long it is difficult to get it to tumble), that gives an active control system lots of time (I’m seat of the pants estimating here — possibly up to a second) to make a correction before the point of no return is reached. Even a slow computer / software / “steering” system should be able to calculate and activate the steering in that time frame. A small polar moment of inertia gives relatively short time (maybe tenths to hundredths of a second) for corrections by an active stability system. Blue Origin’s active stability system may be fantastic, but at the pressures and short times needed for response at supersonic speeds – even fantastic may not be adequate. To see the difference at home, try balancing a broom (Falcon 9) with your hand, then try balancing a pencil (Blue Origin). This rocket reminds me a lot of the X29 airplane from the ’80s. I think they were trying to pull the center of pressure backwards with the forward swept fins, but you rightly point out that that doesn’t do a whole lot of good a supersonic speeds. I suspect the craft was optimized for stability coming down and they were hoping the active control could overcome the transonic/max Q (maximum aerodynamic stress) window of death. The off-axis plumes are interesting – I wonder if they decided to forgo thrust vector control and use throttling for pitch and yaw control. They would need a deep throttling engine for landing empty anyway, might as well leverage that for ascent control as well. Thank you for your comment Roga. I appreciate your systems thinking process. I am also impressed they got it to work as well as it did. They made it up to and through the sound barrier. After seeing the video of their 2007 Vertical Takeoff and Landing they do seem to understand and have good control over active stability – during very slow flight. I think the default assumption about Blue Origin should be that they know what they are doing. Bezos is not a stupid guy and he wouldn’t hire hobby rocket scientists who don’t get the basics of aero stability. I believe the rocket that failed was designed for the slow and low launch and landing testing which they demonstrated. I’ve heard anecdotally – don’t know this – that, despite Bezos’s update, the flight instability was not unexpected but it was useful to fling it that high and fast. They must have gotten some useful data anyway. I don’t understand your point about the rocket being like a backwards arrow. The fins are “backwards” and small, but that seems a design for the extreme aero environment of re-entry at some mach multiple. If the fins were bigger they would have more bite but that wouldn’t change its arrowness. Also, if a bulbous nose is a serious problem, how do you explain all of the unmanned launchers which have payload shroud bulbous noses that are much wider than the rocket body and far from the control inputs at the other end? I guess my point it that I don’t think you know what is going on at Blue Origin or what their design goals are and perhaps you should cut them some slack instead of assuming they [don’t know what they are doing]. Thank you for your thoughts Paul. I apologize. Let me try again. Its not that the fins are “backwards;” their shape might work just fine, though I have serious concerns about their tiny size. The “Backwards Arrow” I see is that the Blue Origin rocket as a whole aerodynamic design, not just one “innovative” component here or there, does not have the minimum shapes needed to be stable when it is flying without power. That includes us not knowing very well where the fuel and payload are but giving it every possible benefit of good placement. The analogy is how when you drop an arrow facing backwards (feathers down) it will tumble until it straightens out and goes tip first. Similarly I suspect the Blue Origin if dropped nose down will tumble; that it will not continue calmly with its nose down. And then (this is where my analogy weakens) unlike the arrow which ends up going in a stable direction, I suspect that Blue Origin might just keep on tumbling – over and over. The direct explanation of this article’s title is — If you shot an arrow backwards (with the feathered end facing the target) – it would tumble. It is my strong suspicion that if you shot a model of Blue Origin towards a target – it would tumble just like the backwards facing arrow. I hope that was better. If the rocket had not crashed due to instability I would have to agree with you. I’m not going to try to convince you we know everything about flight dynamics – we don’t. But we do know a lot of things that do work, and maybe more importantly – a lot of things that don’t. Flight is a deadly serious activity; it is not just mental games, and Blue Origin intends to take living breathing people on flights. Some of them might be your friends or family. When it comes to flight systems with human “payloads” I start out skeptical. When a project has a serious failure – my skepticism increases by a big amount. When I investigate and see so many “innovative” design features – my skepticism accelerates. Let me tell a little story here. Because I used to teach, friends ask me how to learn Hang Gliding. The reason is that since the late 1970s we have known everything necessary to fly a hang glider safely. We know enough flight dynamics to design a safe glider (as opposed to those that used to diverge into a dive), how to understand whether the air (wind, visibility and turbulence) is safe, and we know how to fly the craft within their safe envelope. I feel the same thing applies to rocketry. While it wasn’t true back in the 1940s, we now know how to design safe rockets. There is no longer any reason to crash a (non-model) rocket. Flight is a magnificent, but serious business. Don’t we know their design goals from their website? Let me suggest that there are a lot of different physics, vital physics to account for with a rocket system. Miss any one of them and you crash. My goal with flight systems is safety first. You say ” It is my strong suspicion that if you shot a model of Blue Origin towards a target – it would tumble just like the backwards facing arrow.” I think the Blue Origin test stage is optimized aerodynamically for return after burnout. So it’s an empty stage with nearly all the weight at the boattail where the engines and “control fins” are. My suspicion is that if you shot an empty model of it tail first, it would be more stable – less likely to swap ends than otherwise. I also suspect that the point of the test flight was to get it fast and high enough to test the return flying characteristics of this, perhaps, dumb system. I bet those little sharp fins will be controllable on the operational versions. Sure we know a lot about how to design rockets – that we throw away. This one is designed to return – to hit the atmosphere at its burnout velocity. We will “see so many “innovative” design features” if they succeed. Also this rocket is clearly just a first stage or the booster for the payload which will finish the look of the rocket. All stages by themselves look [awful] without the fancy sharp ends. Paul: “I think the Blue Origin test stage is optimized aerodynamically for return after burnout. So it’s an empty stage with nearly all the weight at the boattail where the engines and “control fins” are. dd: You may be right. However when testing / optimizing one design aspect, one cannot overlook any critical flight parameters such as stability – the vehicle may never arrive at the location and conditions to test its newly optimized features (“…[maybe] the test flight was to get it fast and high enough to test the return flying characteristics”). Paul: “My suspicion is that if you shot an empty model of it tail first, it would be more stable – less likely to swap ends than otherwise. dd: That means we nearly agree. Bidirectional stability while not impossible, is rare in aircraft and rockets. Positive passive-stability flying tail-first almost always means that the same aircraft is unstable (not positively passively stable) flying nose first. A snowboard is a weak counter-example of a vehicle with bidirectional stability because it seems to have at least neutral stability in both directions. dd: Maybe, however a fancy sharp-ish end can significantly change the stability of a rocket, in this case it might improve Blue Origin’s stability. Hmm. A quote from SpaceNews by Elon Musk (a competitor) on Blue Origin’s bid for a Cape Canaveral launch pad lease. Guided rockets have different stability requirements than unguided rockets. A guided rocket with the stability of an arrow or shuttlecock would be very hard to control as the rocket wants to go to a 0 angle of attack rather than make the turn, or continue to fly straight in high crosswinds. For guided rockets, we want a neutrally or barely stable vehicle. If it were up to the controls people there would be a zero aerodynamic moment through a wide range of angles of attack throughout the flight. Of course this is not likely, as both the center of mass and center of pressure move independently during flight. It is not clear that Blue’s engineers did the wrong thing or had a bad process. The real basic fact of the matter is that no matter how thorough a job is done in aerodynamics analysis from panel method approximations to CFD to wind tunnel testing, aerodynamics analysis is error-ridden and surprises are often found in real flight data. Thank you for your thoughtful analysis David. I wholeheartedly agree with most of your comments and appreciate you raising the idea of how during flight, centers of mass and drag move, and move independently. Let me suggest you and I have slightly different design preferences. Just like adding directional stability to a car with “trail” and “caster” there is a balance to attain with the amount of passive aerodynamic stability you put in a rocket. I think you might agree that unless the Blue Origin’s active stability control system failed and was making “corrections” in the wrong direction — the rocket did not have adequate passive aerodynamic stability. As you can tell from my article I am very uncomfortable with neutral or barely passively-stable aerodynamic design. Because rockets, even Vertical Takeoff and Landing rockets, have such little need for steering during aerodynamically significant modes (have such enormous turning radii on the order of kilometers / miles), I am most comfortable with a strong (full-time) passive-stability design. As I wrote before, unless they explicitly intended and planned for that flight to crash, a crash is the clearest evidence as you will ever get that the engineers did something wrong and had a bad process. They did wrong by not anticipating a reasonable serious flight concern. Their process is also flawed because an adequate process will not allow a crash to occur. I get more than a little uncomfortable with assertions that a crash is not bad (even if no one died this time) and that somehow the engineers are not responsible for the crash. Proper engineering takes into account that materials, manufacturing, and operations have a broad range of variance from what you put on paper. If the engineer doesn’t anticipate the extremes – the product/project is a failure waiting for those circumstances. Good (necessarily experienced) engineers know this and design for large variances in everything. >> Because rockets, even VTVL rockets, have such little need for steering during aerodynamically significant modes (have such enormous turning radii on the order of kilometers / miles), I am most comfortable with a strong passive-stability design. Hmm… VTVL rockets have to be stable going up and coming down. Also, there is a built-in system requirement to be able to “balance on your head” with a VTVL rocket since at some point it has to land with a center of pressure in an unstable position. So assuming you already have that good of a control loop, the reasonable engineering approach seems to be to optimize the other challenging portions of flight based on the control authority you already have. In other words, a VTVL rocket must have better control authority than a typical throwaway launcher, so you might as well use it to reduce mass and complexity elsewhere. Sure most commercial airplanes are dynamically stable across the nominal flight envelope, but on the other hand most modern fighter jets are not. We risk airmen’s lives on a daily basis in routine training and patrol just so that in a corner case of dogfight combat or terrain following they might be 10% better than the enemy. You can make the claim that the requirements must inevitably lead to an unsafe design given current knowledge and technology, but I don’t think the Blue Origin designers got their general approach wrong here. Making it to Mach 1.2 is probably 80-90% of the difficulty of making it out of the atmosphere with this design. We should all be so good on our first try. Roga: “VTVL rockets have to be stable going up and coming down. dd: I suspect you’ll agree they must be stable and predictable at all times. Roga: “Also, there is a built-in system requirement to be able to “balance on your head” with a VTVL rocket since at some point it has to land with a center of pressure in an unstable position. dd: If I understand you to mean a dual direction rocket, while some might employ that approach, let me respectfully disagree. I can easily imagine VTVL designs with no need to “balance on your head.” Consider the tail-sitting Lockheed XFV-1 or the Convair XFY-1 Pogo. They both flew successfully. Other design ideas include arranging the rocket nozzles ahead of / above the center of mass as is normal for Jet-packs. While you are right that all of these VTVL aircraft are going “backwards” at some time during flight, they don’t proceed “backwards” at aerodynamically significant speeds. Roga: “So assuming you already have that good of a control loop, the reasonable engineering approach seems to be to optimize the other challenging portions of flight based on the control authority you already have. In other words, a VTVL rocket must have better control authority than a typical throwaway launcher, so you might as well use it to reduce mass and complexity elsewhere. dd: You present your idea well (concise and rational) and I don’t disagree. I do wonder if the design team took your idea – but just too far? My concern is a suspicion that the Blue Origin has such poor passive-stability at speed (I suspect its stability is negative and more than a little bit) that no matter how fast, accurate and powerful the active-stability controls are — they will get massively overpowered by air bumps such as a jetstream windshear or when the rocket pops through an atmospheric inversion. dd: A fundamental stability problem most rocket designs have to overcome is that they are steered and powered from the back. dd: Let me try to explain problem this using familiar things. Have you ever driven a car backwards at a non-trivial speed? That’s an example of back end steering like a guided rocket employs. Most cars are powered from the back of the vehicle, but back end steering is not widely adopted. The reason is back end steering cannot easily be made passively-stable while front steering vehicles can. dd: If you drive a car backwards in a fairly straight line or slowly you’ll likely never experience a this phenomena, but if you try even a slight turn at speed – make sure you have your seat belt on. If you drive backwards quickly (use a big empty parking lot please) and let go of the wheel – what happens? The steering wheel soon rapidly twists all the way to one side or the other and the car snaps into a minimum radius turn; a tire squealing tight turn. dd: Contrast that with letting go of the steering wheel of your own car at say 60 kph/mph – and your car continues to go in a fairly straight line – for miles. Roga: “Sure most commercial airplanes are dynamically stable across the nominal flight envelope, but on the other hand most modern fighter jets are not. We risk airmen’s lives on a daily basis in routine training and patrol just so that in a corner case of dogfight combat or terrain following they might be 10% better than the enemy. dd: I agree and think you are helping my point with “most commercial airplanes are dynamically stable across the nominal flight envelope” because Blue Origin does not have military goals (unfortunately we do have lower standards for military safety) – it is intended as a civilian transport. Roga: “Making it to Mach 1.2 is probably 80-90% of the difficulty of making it out of the atmosphere with this design. dd: You may be right. Roga: “We should all be so good on our first try. dd: Let me respectfully disagree. I believe those days of rocketry where crashing is acceptable are long gone and that we know enough, and have good enough test methods so that no (non-model) rocket ever needs to crash. While you certainly bring up valid points about the design process and testing via incremental changes, part of the problem with critiquing Blue Origin is that we know relatively little about their designs and design process (they are one of the most secretive of the newspace companies). Blue Origin also stated that their vehicle encountered the problem at Mach 1.2. The transonic regime has historically posed some of the greatest challenges to vehicle development. It is also difficult to test for transient events as a real vehicle would experience them through wind tunnel tests or CFD simulations. I wouldn’t be at all surprised if the flight instability issue which caused the loss of vehicle was due to an unforeseen coupling between the vehicle’s flight control system and the transient aerodynamic forces experienced in the transonic regime. This could have happened even though (assumed) wind tunnel tests, CFD simulations, and hardware simulations showed no issues. Ultimately, unless Blue Origin releases a more detailed explanation of what went wrong or the design of the next vehicle has some difference that points to what the issue was, I’ll give them the benefit of the doubt that they know what they’re doing. Thank you for your insightful comments Larson. Yours are all excellent points, and well explained, especially trans-sonic problems and your analysis and conjecture about what might have gone wrong. I would not be at all surprised if your educated guess turns out to be right. I agree we do not know the internal mass distribution and that it is vital (we don’t even know the rocket’s height/length), but we can estimate them and give them every possible benefit of doubt. And it still doesn’t work for me; its still unstable and poised to tumble. Yes, they did get it up to mach 1.2 and some 45,000 feet, but (and I mean this with tongue only slightly in cheek) with good propulsion and pretty good active-stabilization don’t you think we could get a brick going that fast and high ? I also agree it is difficult to test stability in a wind tunnel (and with such an odd design estimating stability with computer modeling is likely just a waste of time and money) which is why I made the suggestion to use a simple drop test – which can tell you a lot about an aircraft’s stability quickly and inexpensively. I sincerely respect your opinion to give them the benefit of doubt and understand it is based on your personal years of work and experience. However, since their rocket crashed, intends to carry passengers and is so obviously “innovative” I can no longer give them the benefit of the doubt. Nevertheless, if they offer an explanation I’m willing to listen. David thanks for explaining it to those of us that aren’t that conversant in high-tech, but you are way too diplomatic. Frustrates me that you don’t say it straight up — The tubby craft crashed. How can those other engineers defend an accident that’d be deadly if it was carrying passengers ! I darn well know I’ll never fly in that company’s buggies.